Our simple, modern rooms have either one or two comfortable, queen size beds, some with an additional sofa bed. 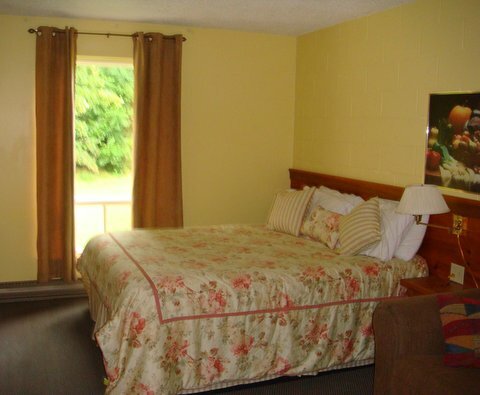 All have ensuite bathrooms, A/C, cable TV, high speed wireless Internet. Five of our rooms have kitchenettes and two have accessible bathrooms. All our rooms are non smoking. A few of them are designated dog-friendly. We rely on our guests to ensure their pet's good behaviour. Our prices range from $55 to $110/night depending on the season, day of week & duration of stay. Details of our rates are available here. Please don't hesitate to contact us by phone (1 613 273-3627), by email at info@westportstationmotel.com or use our reservation form.